Providing custom solutions for your business is our area of expertise. 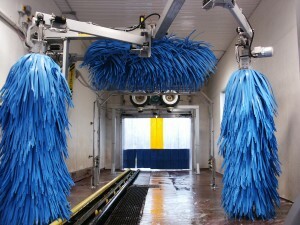 With our In-Bay Express Wash Conversion, car wash operators can clean up to 50 cars per hour with as little as 35 feet! Wash Conversion system offers a Standard LT and Deluxe XLT package sure to leave your customers in awe. Featuring new technology that can triple your volume and compete with market express competitors. 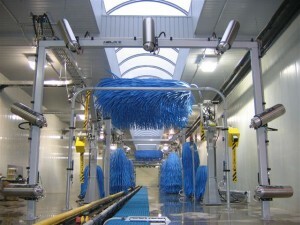 In-Bay Express Wash Conversion is also more economical, reducing water usage and chemical consumption. 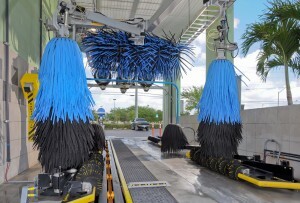 Systems ideal for automotive dealers, fleet, and rental agencies wanting to integrate a vehicle wash center into their operation. ExpressLane technology offers Z-Frame combination RS-1000 Top Brush and dual forward and rear facing RS-701 SuperFlex Wrap-around brushes. These systems feature faster and gentler Envirosoft Foam and Versa Arches for pre-soak and rinse. Systems available with and without dryers.